Busan, the second-largest city in South Korea, is home to 3.6 million citizens and the world’s fifth largest container port. Busan is the second largest city in Korea. Its deep harbor and gentle tides have allowed it to grow into the largest container handling port in the country and the fifth largest in the world. 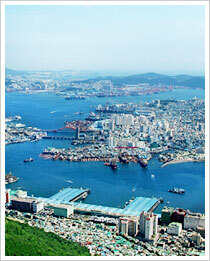 The city’s natural endowments and rich history have resulted in Busan’s increasing reputation as a world class city for tourism and culture, and it is also becoming renowned as a hot spot destination for international conventions.